The Ford Ranchero was a car-based pickup that beat the El Camino to market by a few years, but by 1959, both Ford and GM were churning out full-size, body on frame car/trucks. 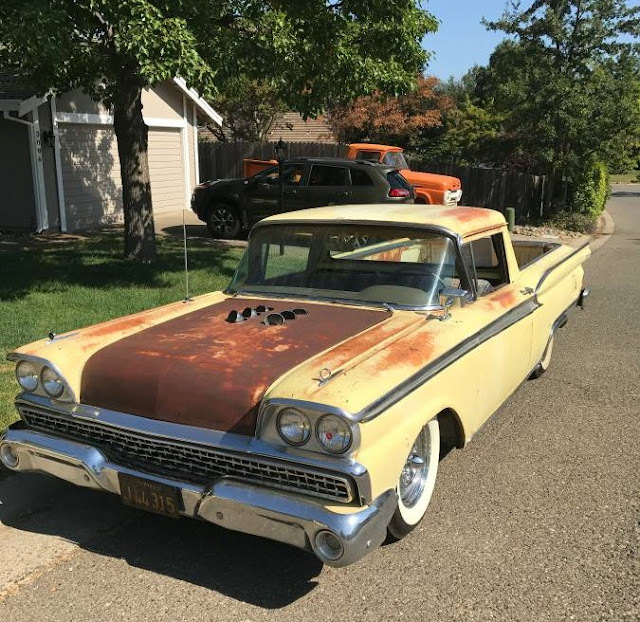 I've been looking at Rancheros recently since it's a similar concept to a project I'm about to embark on - pulling the body off of a late model P71 Crown Victoria Police Interceptor, and replacing it with a '60s Ford pickup cab and bed. But the Ranchero was the OG mullet mobile. 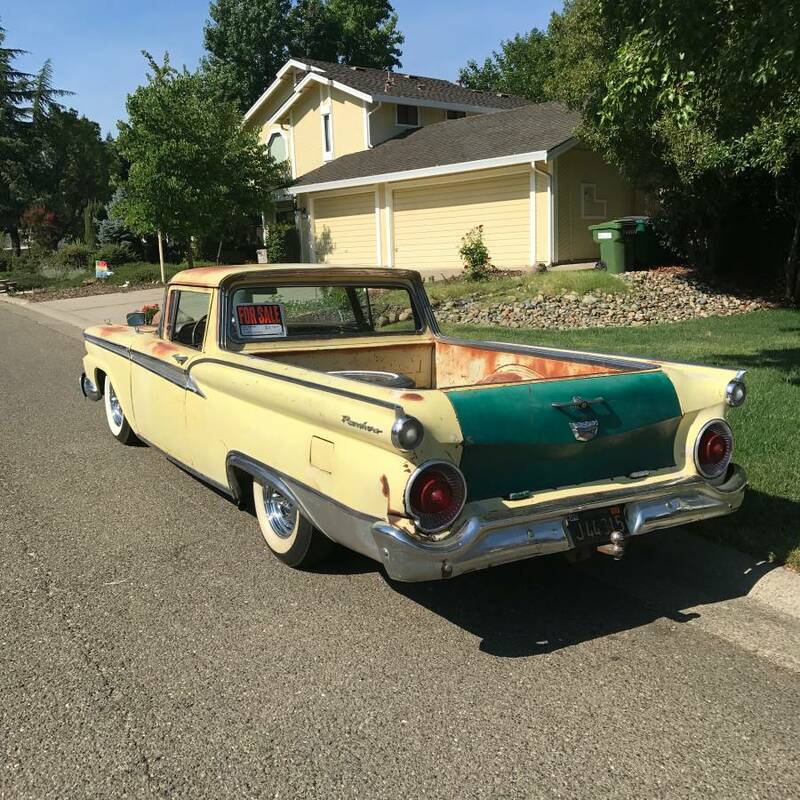 Find this 1959 Ford Ranchero for sale in El Dorado Hills, CA for $8900 via craigslist. Now, nearly $9k is a big chunk of change, but functional vehicles from 1959 are getting few and far between. You can pay to get faux patina but you can't replicate authenticity, so maybe this unrestored survivor pickup-ish car is worth the price of a used Kia. But consider that a Crown Vic / F100 mashup can be built for around $5k, all in. At least here in Southern California, where both donor vehicles are plentiful and rust free. And if you have a shop with a lift and welders, and buddies to help lift heavy steel bodies. Up in the gold country east of Sacramento though, it would be cool to cruise around in something a bit more...rural. Vintage Air makes AC systems that would probably fit, and it would be tempting to paint the hood and tailgate to match and then add a real air filter, although those six open gulpers on the 390 FE are pretty cool. I'd rather cruise around with modern engine management, ABS, disc brakes, and so on, but if you like tuning 12 barrels on a 6-pack, and you need a light duty utility pickup that still looks like it could beat up Toyota Tacomas, then this may just be your ride. CFlo is Daily Turismo's Technical Editor and co-founder. 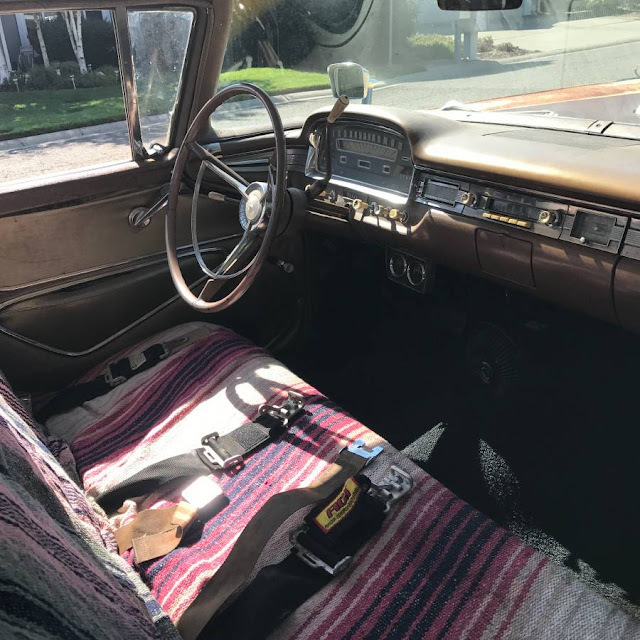 He hasn't written many features lately, but is about to take the above-referenced P71 Crown Vic on a 2500 mile road trip with the Lemons Rally. After that, the car body comes off, and pickup cab & bed go on. This is really cool, but I agree the price seems a bit steep. (1) Cars with pickup beds, e.g. : El Camino, El Cadillacamino, that one 944 we posted, Brat (sort of, right? ), and so forth. (2) Mullet-wearing *people*, e.g. : Dog the Bounty Hunter, M. Gibson as William Wallace, Lita Ford, MacGuyver, MacGruber, etc. That said, there *could* be an overlap, it's just not automatic. Maybe a Venn diagram would have been clearer, but challenging to render in text. Oh yeah, totally. No offense meant. I can't imagine that any self respecting owner/driver of this Ranchero would ever get caught with a mullet. Didn't mean to imply that they would. It's a vehicular mullet - the car itself is business in front, party in back. Kaibeezy is working on a theorem apparently! Seems to me that a Ranchero with a hex-carbed 390 would be party in the front, business in the back. For years we had a couple of 1959 El Caminos (Los Caminos ?) and a Toronado in the barn, and I always thought it would be fun to build a 59 Elco with the Toronado engine and trans in the back with drag boat headers and all the other speedboat accoutrements. Now that would be a party in the back! Ha! That's my Roachero. Lot's of interest, and no buyers. She's off the market for now. 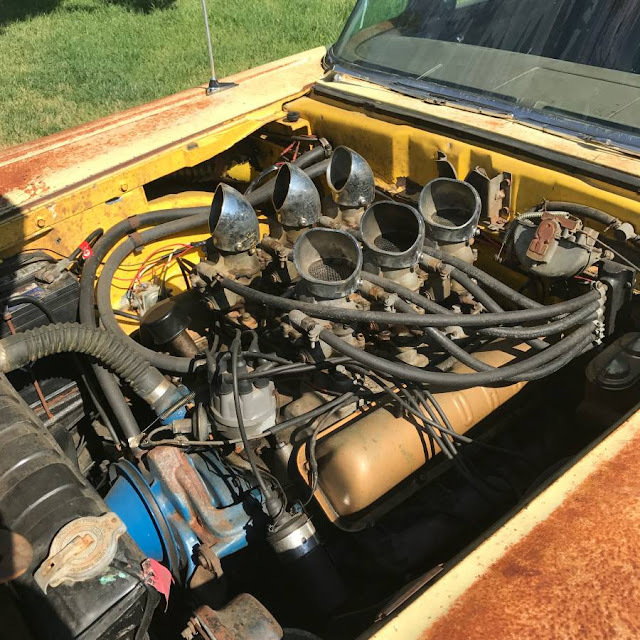 As far as the price, the Ranchero is completely mechanically new/rebuilt.....and have you priced a 6x2 FE intake/carbs/linkage/fuel block lately? I would have no hesitation to jump in and drive to LA. Mr Rochaero -- I applaud your willingness to drive such an awesome vehicle. Keep it weird and keep it on the road. Thanks Vince! Much appreciated. Just ordered up a 1957 Desoto bumper for the front and might pull the trigger and paint it black. Might as well take it to the next level.